Looking for a hotel that is affordable and offers all the basic amenities that you would need to enjoy a comfortable stay while travelling on a budget? The Baguio Village Inn with all the facilities that it has to offer would prove to be an ideal choice. The wooden structure of the Inn gives it that old world charm while the rooms are charming and very well-maintained. You get the option to choose from the private rooms or the shared rooms wherein you would have to use a common bathroom. Amenities include free Wi-Fi, hot water in the bathrooms, parking space and much more. 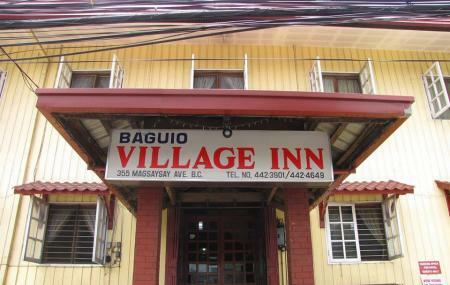 When travelling on a budget, Baguio Village Inn would undoubtedly be a great option. i stayed here last holy week and very nice specially because it is in front of a cathedral, they are not roman catholics but practices almost the same. price is very wise yet very clean and cool place. the staff were friendly and accommodating. i highly recommend this inn and i will surely go back here to check in once i come back in baguio city. kudos for you all guys. Good value for money for the single room with outside hot water bathroom. Has free wifi. 400 pesos. Nice view of the Resurrection church specially at dawn. The comfort rooms need bidets though.